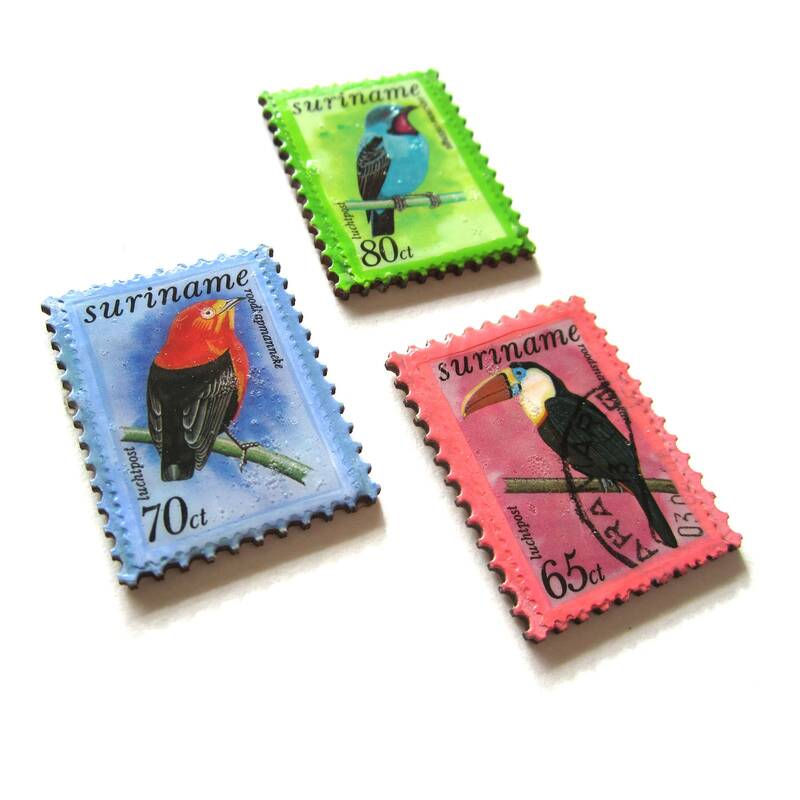 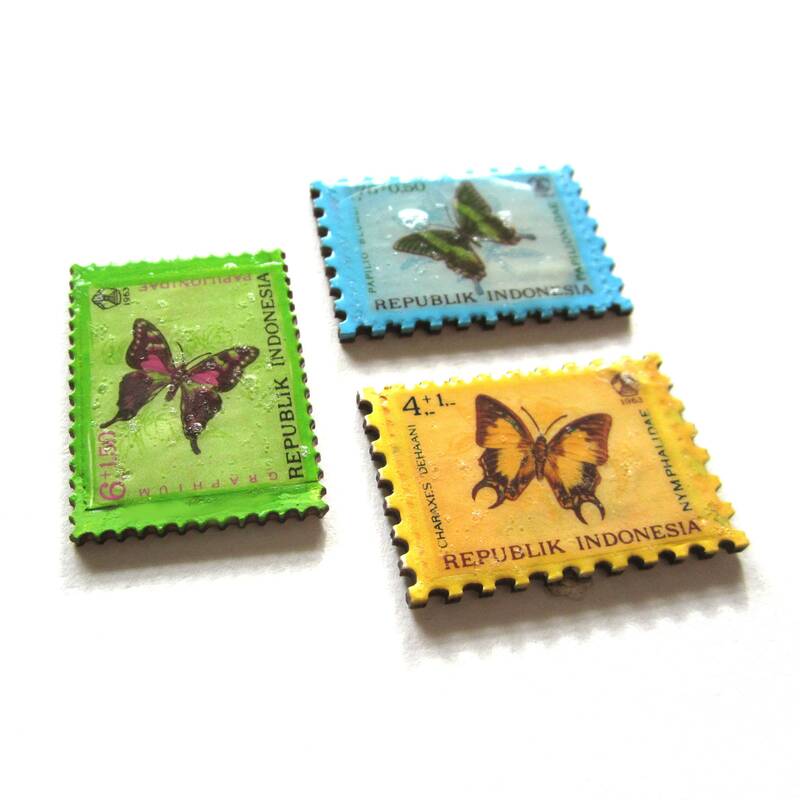 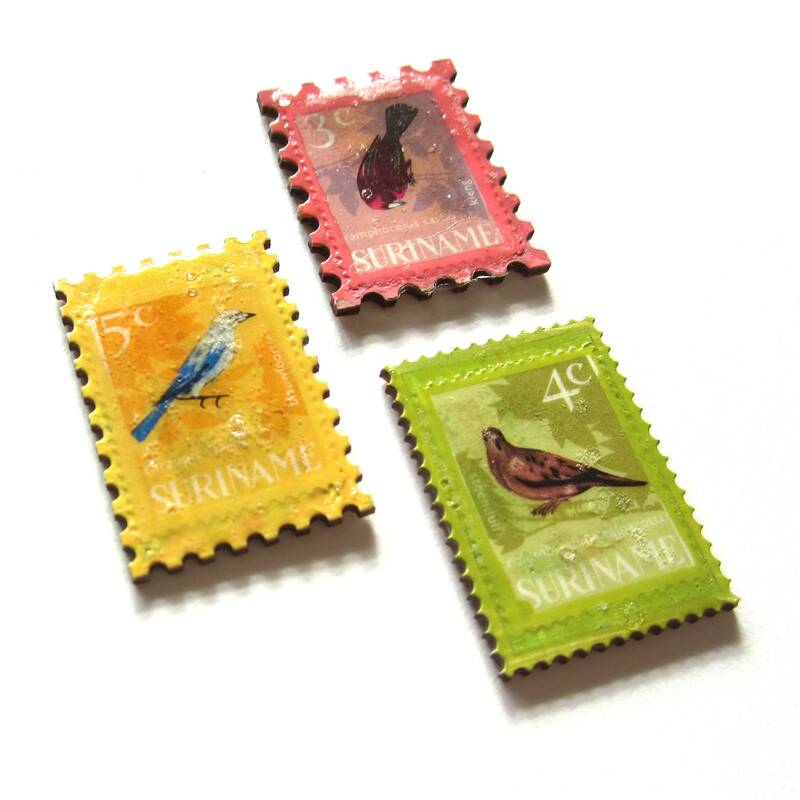 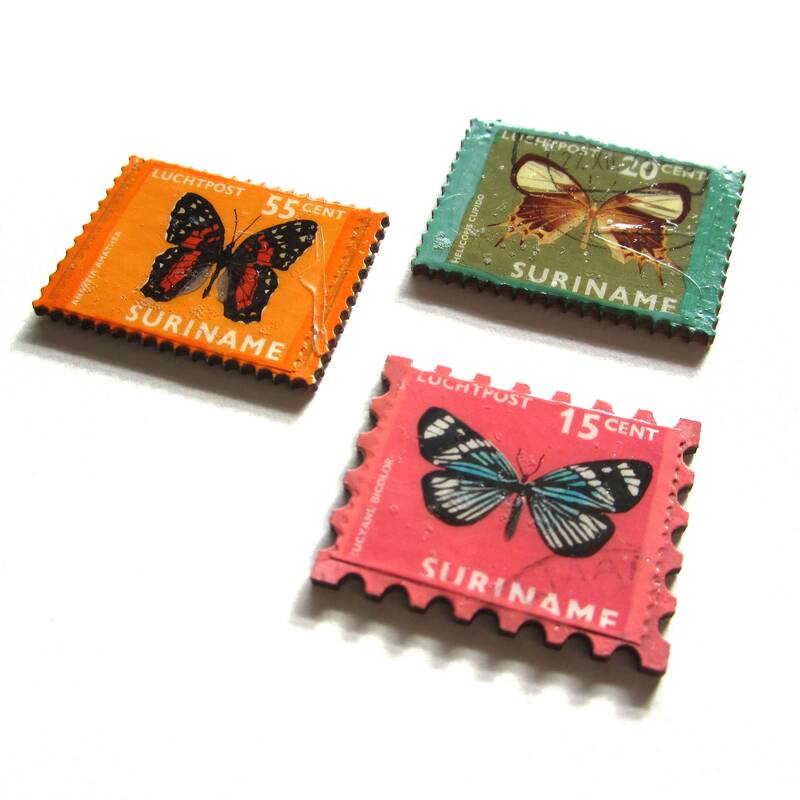 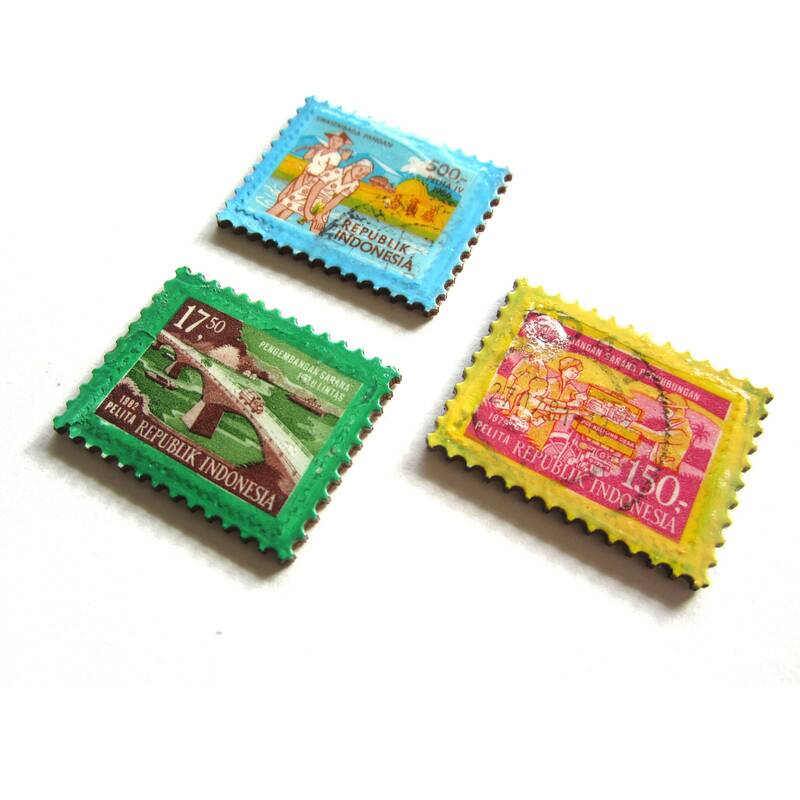 One set contains tree lasercutted pieces of wood with real postage stamps on it, each piece contains a strong neodymium magnet. 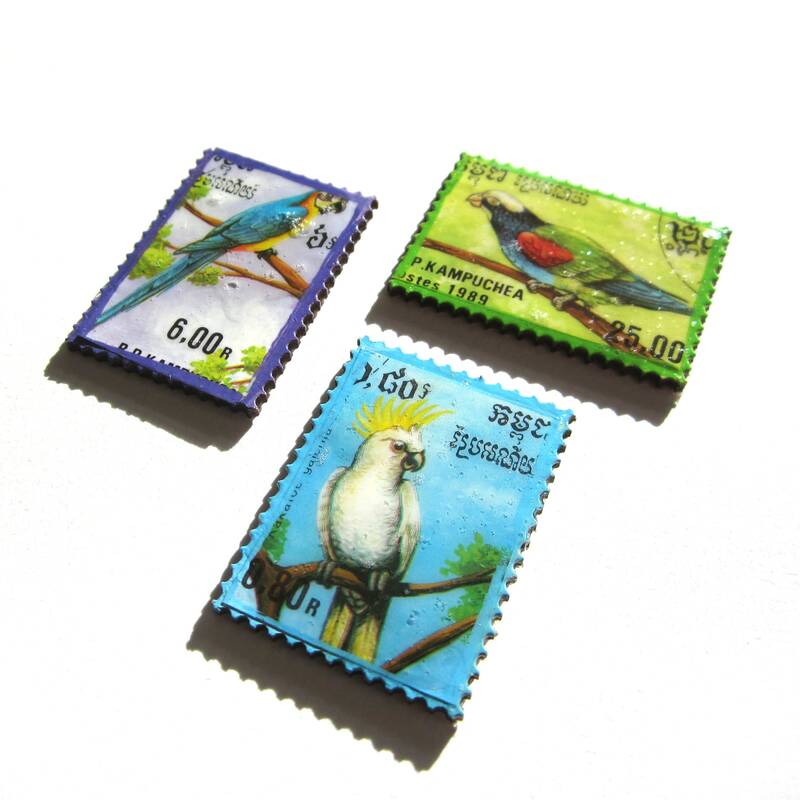 The magnets are finished with lacque. 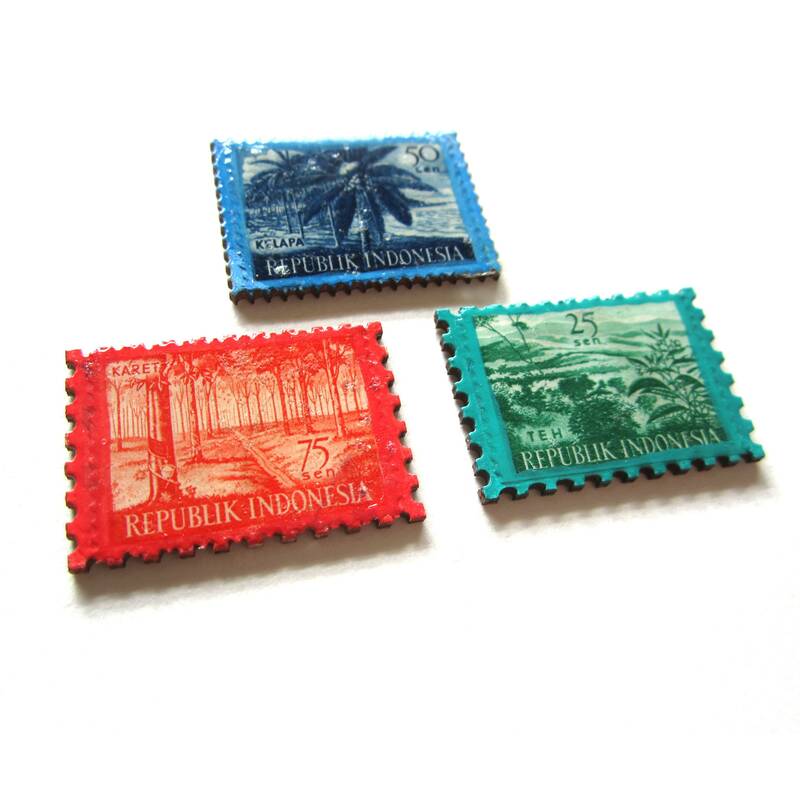 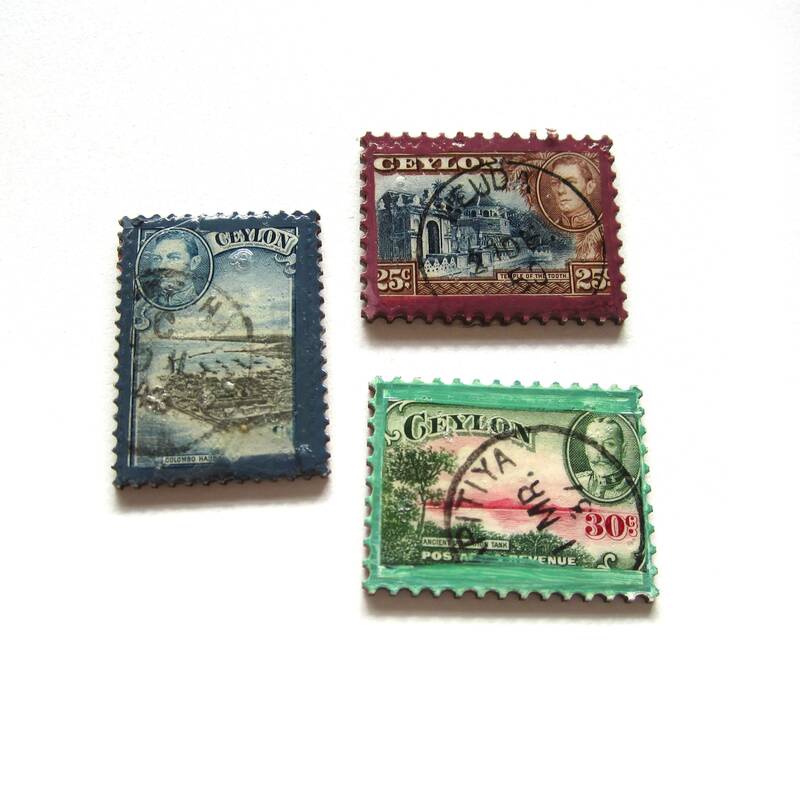 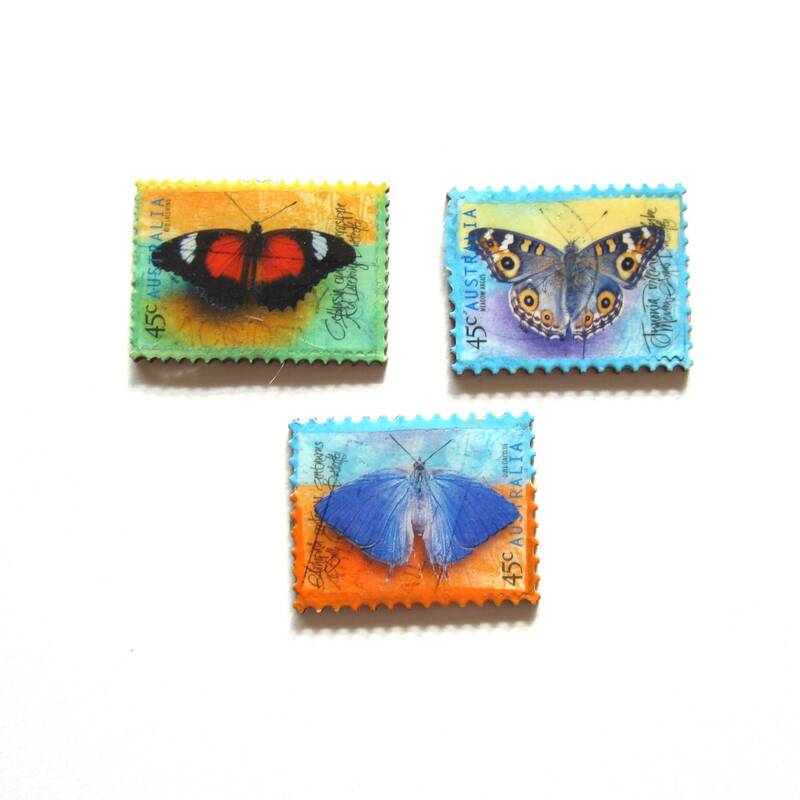 Ideal gift for a postage stap collector or someone who is in love with a specific country.